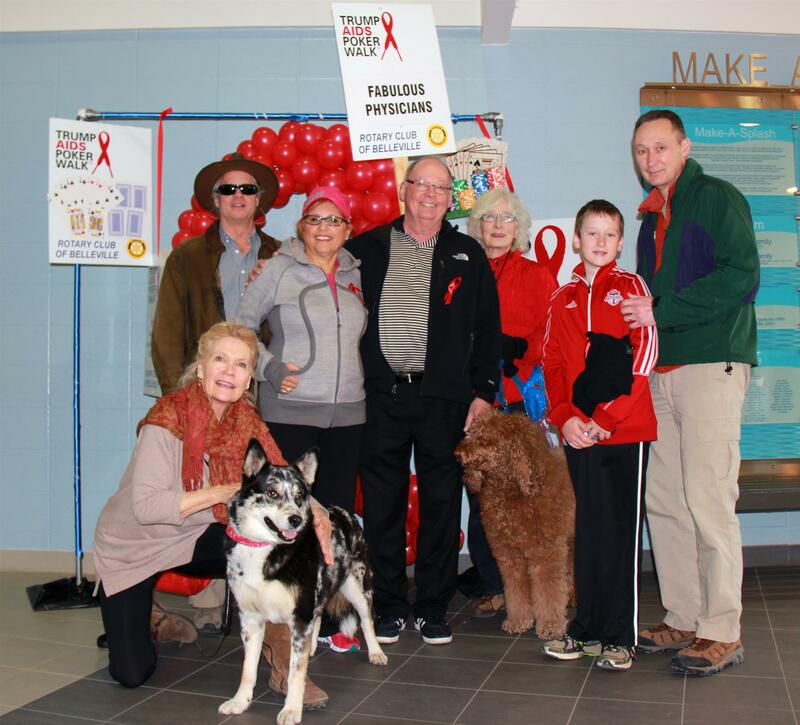 Saturday, April 23, 2018 was a spectacular day with a better turn out for the Rotary Poker Walk this year than last year. The spirit and crowd were electric. 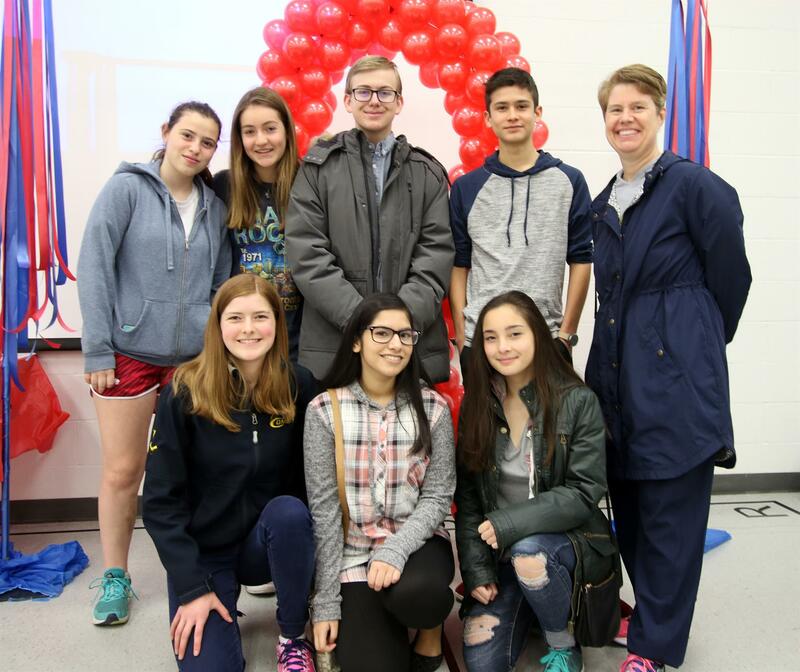 With a great devoted committee along with a large number of volunteers helping the day of the walk, the total raised was $35,000. John thanked President Tracy for being there with her own team along with Andrew Bandler, President Elect and Doug Peterson, Secretary. Their support was greatly appreciated. Top fundraiser was Lola Reid Allin at $3,270 (pictured here with the rest of her team of Fab Family Physicians) with Ruth Mathieson as runner up, raising $2,360. The top fundraising team was the Fab Family Physicians, contributing very close to $8,000. The combined Grannies for Africa raised $12,205. Amazing work and support! 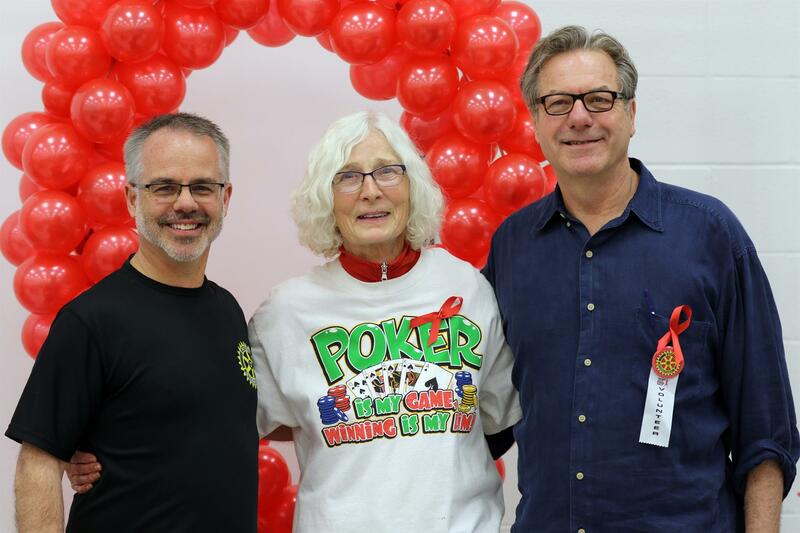 The best poker hand was held by Grannies for Africa #2 with a royal flush in spades, led by Sharon Vanclief. Two teams were tied for second, but Grannies for Africa #1 won in a playoff. Top trip winner was Ruth Mathieson who said she never won anything in her life so plans are now underway for a trip to Las Vegas. A big thank you to Jennifer and Tony Nelson who donated food from Taste of Country. And John Smale was pleased to advise that no corporate sponsors were used, leaving them all available for RLK!. It was great to see the Interact Club from Moira being recognized as the Red Ribbon winner with most cards.